The serenity of Ubud, Located in a traditional village of Silungan, only 10 minutes drive to Ubud center town and ninety minutes from Ngurah Rai International Airport.Situated outside of the village, surrounded with Ubud tropical jungle and ricefields, the resort encompassing a collection of 17 Rooms and Villas in Balinese Design, presented with heart by the Owner hands.At the Alena Ubud where every soul immersed with the genuine Balinese hospitality in a relaxing and tranquil atmosphere.The Alena Resort is a masterpice of a young Balinese whose not just the owner but also he put his heart to work with his hand on every details design and material to present for every traveler who looking for a small and relaxing Balinese boutique resort. 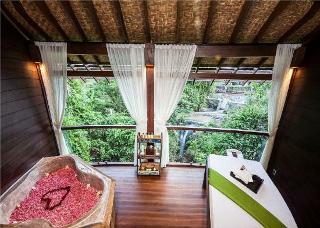 A charming retreat, Canvas Escape offers a tranquil experience in Ubud, Bali. 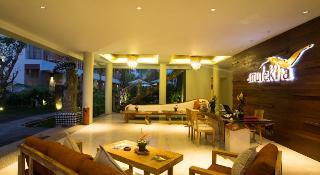 Amongst its well-appointed facilities are an outdoor swimming pool, spa, garden, and terrace. All villas and suites are equipped with 55 inch flat-screen TVs featuring cable channels. 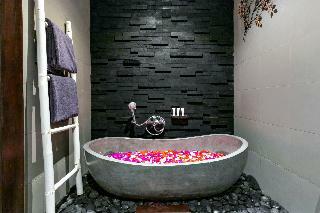 All rooms have en-suite bathrooms with showers while some extend to a balcony. All accommodation provides guests with a desk, in-room safe, international power sockets and coffee/tea making facilities.Canvas Escape daily breakfast provides Local and Western options.Travel advice is available at the reception through staff who speak English, Balinese and Bahasa Indonesia.For guests looking for some adventure, Canvas Escape is 5 km from Ubud Monkey Forest and 5 km from Elephant Cave. 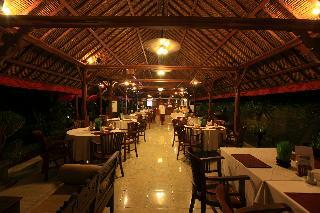 Ubud Market is 6 km from Canvas Escape, while Ubud Palace is 6 km from the property. 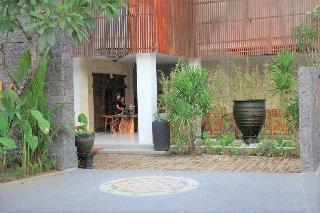 The nearest airport is Ngurah Rai International Airport and is 23 km from the property. Couples particularly like the location. We speak your language!